A number of mispallelim on their way to Shacharis Friday morning at the Khal Chassidim shul in Kiryat Gat – some 20 miles from the Gaza border – saw an incendiary balloon in a nearby park. The balloon was made of eleven colored helium balloons attached to each other, with a pipe bomb, apparently containing explosives, at the bottom of it. B’chasdei Shamayim, it hadn’t exploded. On the terror balloons the terrorists had written text and caricatures in Arabic. The balloon landed at the end of the park, and only the fence between the balloon and the 100 children of the adjacent Slonim mosdos who were playing outside at the time. 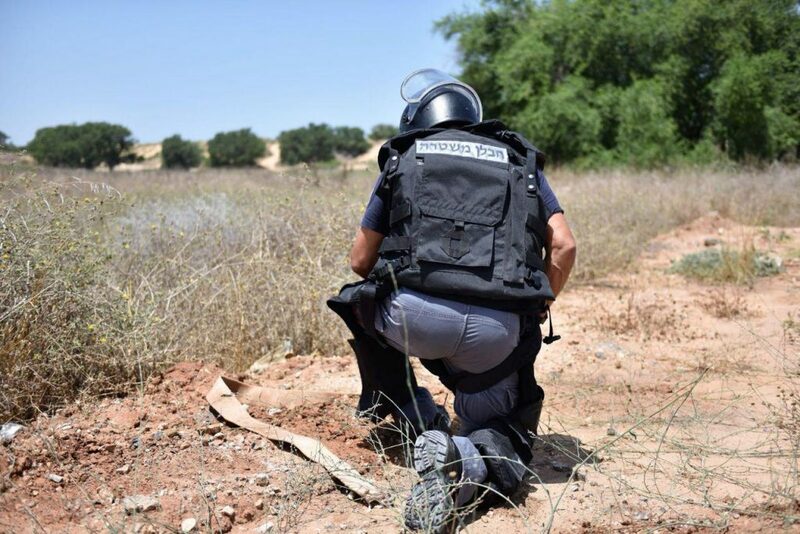 Police forces, including the police sappers, who arrived at the site neutralized the balloons, and the explosion was heard throughout the chareidi community. Another Molotov cocktail landed in an agricultural area in Sdot Negev. This balloon was successfully handled by the sapper.